Sign up to receive new blog posts by e-mail. This blog takes you behind the scenes of the State Historical Society of North Dakota. Get a glimpse at a day-in-the-life of the staff, volunteers, and partners who make it all possible. Discover what it takes to preserve North Dakota's natural and cultural history. We encourage dialogue, questions, and comments! Work is nearing completion on restoration of the historic hospital/cafeteria at Fort Totten State Historic Site. Throughout the winter of 2017 we’ve developed, designed, and installed new exhibit spaces throughout the building. 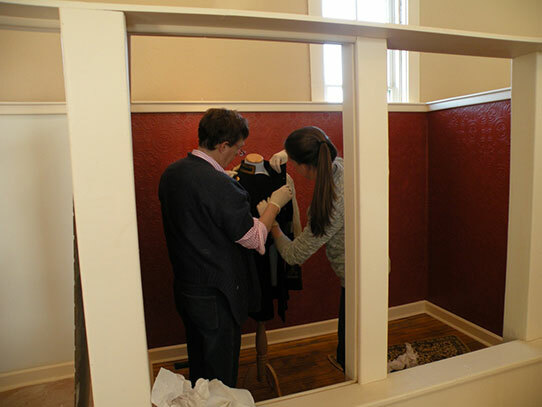 Agency staff members have been hard at work for several weeks customizing the exhibit display booths and preparing objects for exhibition. Interpretation themes for visitors to explore include the frontier military hospital and industrial boarding school cafeteria as well as the extensive collections of the Pioneer Daughters of the Lake Region who have occupied the building since 1960. When we last left off, the exhibit cubes were under construction (blog.statemuseum.nd.gov/blog/totten-restoration-update). The past few weeks have been spent outfitting the individual spaces and tailoring them to themes related to the Pioneer Daughter’s collections including military, Victorian era clothing and accessories, pioneer kitchen accessories, farm tools, and toys from the turn of the century. 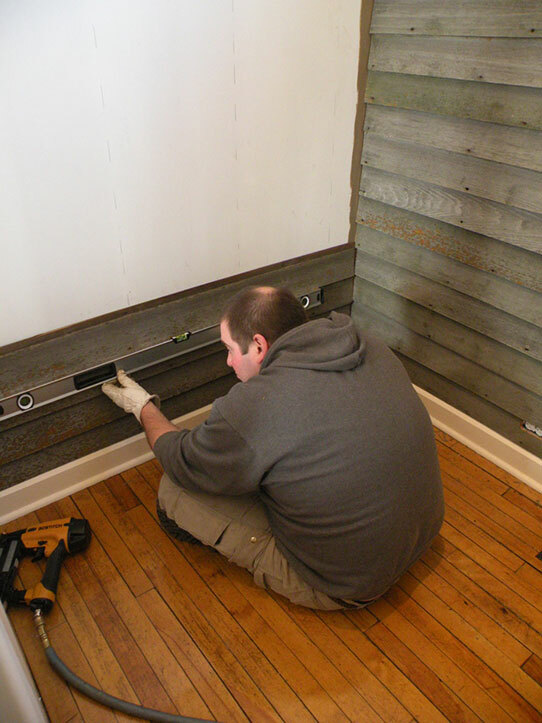 Fort Totten site supervisor Kyle Nelson outfits one of the exhibit cubes with 1870-era wood siding sourced from his family’s original homestead in Nelson County. Historic Sites Manager Guinn Hinman (right) works with volunteer Alison Hinman (Dickinson Museum Center) on preparing a military uniform for exhibit. 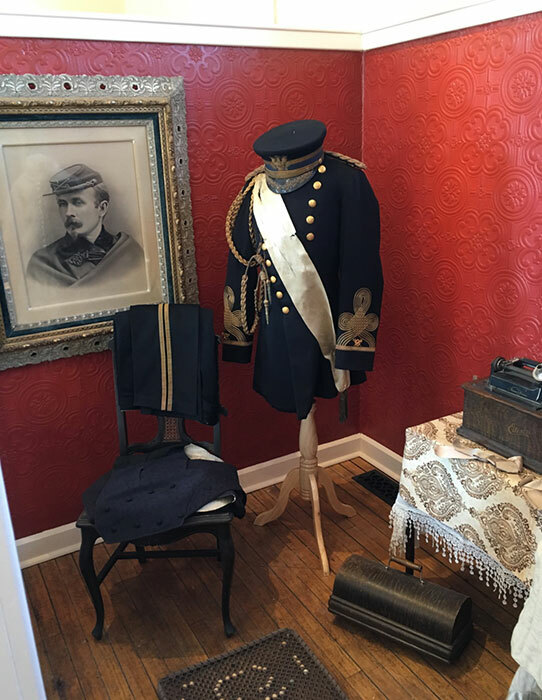 The completed exhibit—showcasing the dress uniform of H.M. Creel who founded Devils Lake. 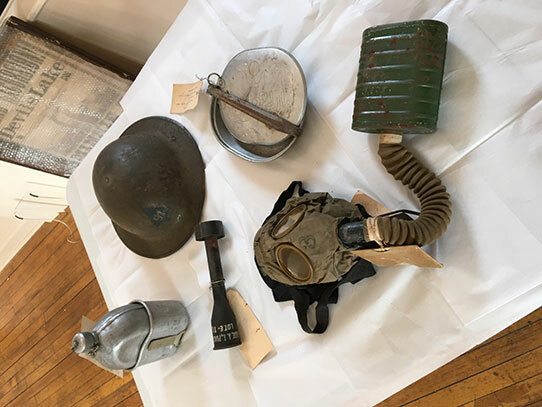 World War I artifacts housed in the vast collections of the Pioneer Daughters of the Lake Region being assessed and prepared for exhibition. 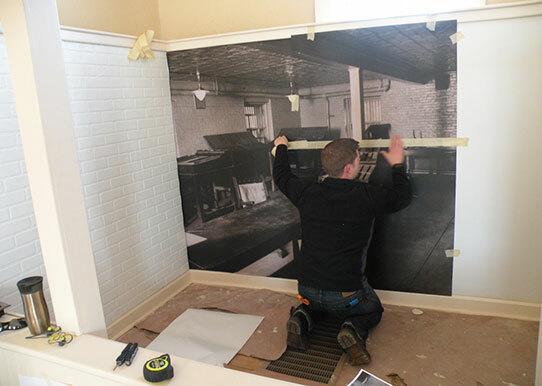 Ramone Gumke of Newman Signs (Jamestown) prepares to install a large graphic depicting a turn-of-the century printing press in an exhibit cube at the hospital/cafeteria at Fort Totten State Historic Site. 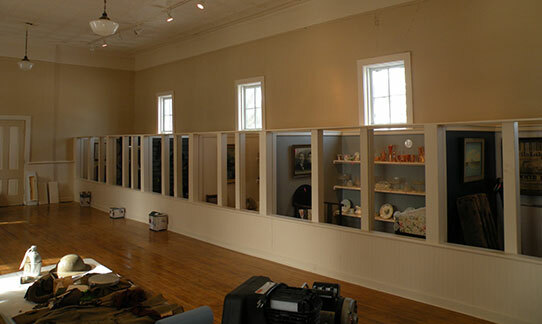 A view of some of the completed exhibit cubes in the west wing of the hospital/cafeteria at Fort Totten State Historic Site.